And so Solar Phenomena's astral adventures continue into the furthest corners of the technoid galaxy? 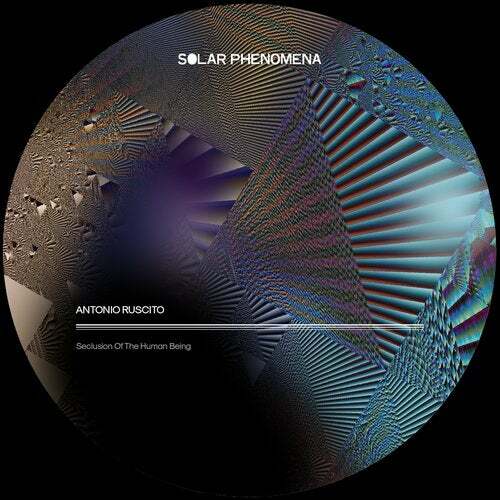 Having executed a safe and successful take-off earlier this summer with Echoplex's 'Solar Experience', the new label continues to explore the stars with rising Roman Antonio Ruscito. Following releases on Who Whom and Edit Select earlier this year, Ruscito navigates us through a conceptual suite that questions ideas of existence and loneliness within a reality that blurs with virtuality at such a pace we have to question everything. One thing that doesn't need questioning is the forthright and stark nature of these constructions. 'Seclusion One' plays the role of the rocket-fuelled take-off track. Setting the scene and plotting the route, there's a subtly evolving and mutating feel while the end-point remains focused with a consistent feel of elevation thanks to the rich textures entwined into every element of the rhythm and energy. Onward we travel: 'Seclusion Two' takes much more of an introspective route as it rolls out a much more stripped back evocative journey that's creative subverted by Rephlex-affiliate and respected Finnish artist Aleksi Perala one his electro-referencing remix. aesthetics of 'Seclusion Three'. Presented in two different forms ? one star-struck instrumental and one featuring the redolent dulcets of Sam ? the message and overall experience is one of hope and unity, glaring in the face of personal, technological and cultural isolation. It's time to come together.